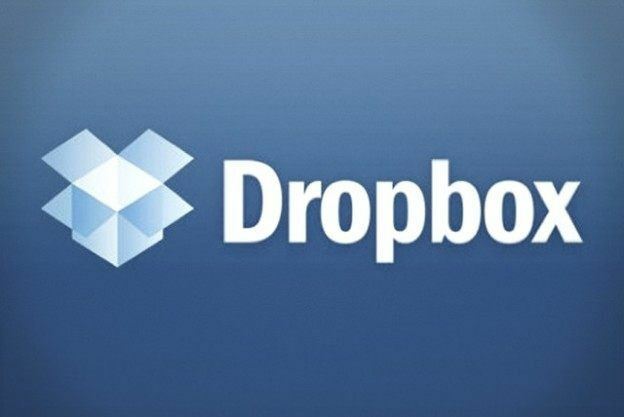 DropItToMe: Dropbox lets you share files for other people to download. The free service DropItToMe helps other people to upload files to your account. To use DropItToMe, allow the service access to your Dropbox. It creates a DropItToMe folder in your account. DropItToMe’s interface is friendly and the app provides an easy-to-remember URL rather than a random link. You also get to create a password (which is required for uploading content to your Dropbox account). Compared with Dropbox, DropItToMe lets you upload files with fewer clicks. It also offers a free, simple way to allow other people to share content with you without their having to sign up for Dropbox. BoxCryptor: BoxCryptor is a free service which automatically encrypts your files before they’re uploaded to your Dropbox account, using AES-256 bit encryption to secure your files, adding an extra level of security. This tool is very useful when you think about storing any sensitive files, such as as tax returns, bank statements or very personal letters. BoxCryptort also supports Box.net, Google Drive, and Microsoft SkyDrive. This app automatically adds a virtual drive to your computer; it finds your installed cloud-storage services and pulls those into the BoxCryptor folder. To encrypt a file or a folder, you right-click it and select the Encrypt option. You can view all the files in your BoxCryptor folder. If you look at the file through Dropbox, it becomes unreadable (but looking through BoxCryptor you can read the original and unencrypted file.) In the BoxCryptor, encrypted files and folders are marked with green labels. If you use Dropbox view, the encrypted files are shown with .bc extension added to the name of files. Because the encryption happens on your computer, not on BoxCryptor’s servers, so BoxCryptor does not have access to any of your data. The company does not have access to your password, so if you forget the password, all your data will be lost. BoxCryptor covers one cloud-storage service and includes access to the mobile (iOS and Android) apps for free. You must pay to have access to unlimited cloud services and unlimited personal accounts, if you want to add file-name encryption, unlimited business accounts, or the ability to create groups for sharing files and folders. DropTunes: Dropbox’s music playback features are limited, even if you can use Dropbox to access the stored song files. If you want to listen to the tunes, you will need to download them to your device. Free Web apps for Dropbox DropTunes makes streaming music easy, and it acts as a music player for the audio files in your Dropbox account. (A $1 iOS app takes its features mobile.) Point your browser to droptun.es, and give the Web app permission to access your Dropbox account. It automatically finds any audio files and allows you to play them back without downloading them. DropTunes lacks advanced features like creating playlists, but it works just fine for basic music streaming. IFTTT: You can make almost anything you do on the Web even easier with the help of the free IFTTT (which stands for If This Then That) tool that creates links between Web services. This app lets you create recipes using channels, which include Dropbox, Facebook, Evernote, Email. As of this writing, 68 channels are available on IFTTT. To create a recipe, you select the first channel. Once you’ve chosen a channel, IFTTT displays applicable triggers. A trigger is the action that must occur for the result to happen. In the case of Dropbox, a trigger could be a file or photo arriving in your Dropbox. After selecting the trigger, you choose the channel and the action. You can use IFTTT to automate much of the work you do in Dropbox, or ask it to notify you when actions occur. IFTTT is a very powerful service that can make Dropbox a lot more flexible and useful. Send to Dropbox: If you’re seeking a simpler way to send content to Dropbox, the Send to Dropbox app generates an email address and any attachments sent to that address automatically get saved to Dropbox. However, the free version of Send to Dropbox doesn’t allow you to create a custom address. Just connect it to your Dropbox account and it instantly generates an email address for you. Upgrading to the Pro account lets you customize your email address. The Pro account also allows for multiple addresses and an email whitelist, so you can control who can send files to your Dropbox. By default, Send to Dropbox saves files to a new folder called “Apps/Attachments.” (You can change this name and add subfolders that contain the name of the sender and the subject line if you wish). Best place to sell used iPhone online. Top cash guaranteed. BBB A+ rated business.